National Science Foundation, Grant No. 1142510, IIS, Human Centered Computing. Carol LaFayette earned a BFA in design at the University of Washington, Seattle, and an MFA in interdisciplinary art from State University of New York, Buffalo. She is exploring flora, fauna, and phenomena in her laboratory/studio: a regenerating, former ranch in Texas. Her work with leafcutting ants is documented in the PBS series “State of Tomorrow:” the first digital glimpse of a vast, underground ant colony. She collaborates with individuals from scientific disciplines to develop ways to experience connections among flora and fauna in rural landscapes. Her artwork is in collections at the Museum of Modern Art, New Museum of Contemporary Art, The J. Paul Getty Museum, and Microcinema International. She has exhibited interactive installations and video worldwide, including LAB ’11, Sweden; SIGGRAPH; Zebra Poetry on Film, Berlin; Filmstock, UK; and Solomon Projects, Atlanta. Her work has screened on outdoor billboards in L.A. Freewaves, Los Angeles, and at Victory Media Arts Plaza, Dallas. Reviews of her artwork have been published in BBC Technology News, Chronicle of Higher Education and Wired. She was a visiting artist at Parsons New School and at the Hungarian Multicultural Center. She is PI of an NSF-sponsored project to form SEAD, a national network for sciences, engineering, arts, and design, to support collaboration across disciplines. The Department of Visualization, College of Architecture, Texas A&M University, is a cross-disciplinary program with faculty from the arts, engineeering, and sciences who share students and collaborate on research and creative projects. Degree programs include the BS, MS, and MFA in Visualization; a Ph.D. in Visualization is in the proposal stage. 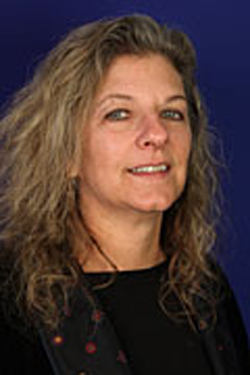 Carol is Director of the Institute for Applied Creativity,a forum for radical harmony among domains and disciplines intent on creating a radiant future.